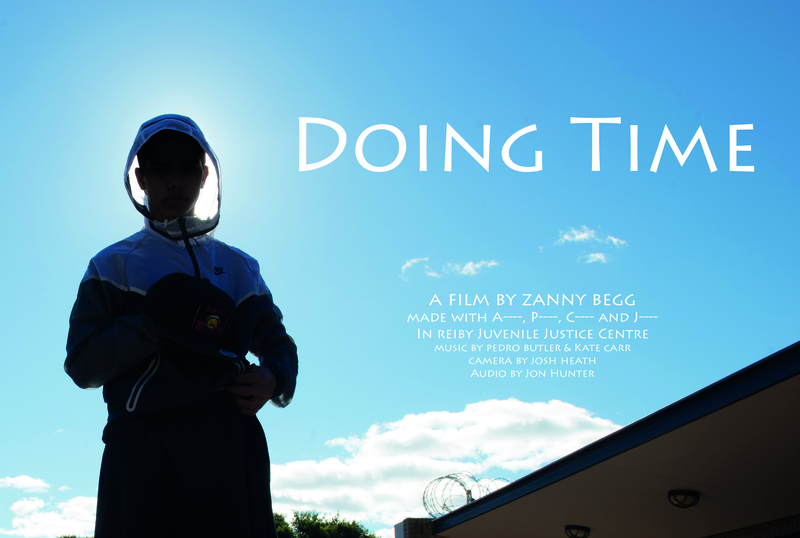 Doing Time is a 9:24min film developed in collaboration with four teenage boys in Reiby Juvenile Detention Centre. It was shot inside the detention centre and explores the assumption that we all experience time in the same way by presenting a series of discontinuous and dreamlike sequences that highlight the subjective and relative nature of time. Doing Time was created as part of a four month residency at Reiby Juvenile Detention Centre and was first exhibited as part of an installation The Boys Home, with photo documentation of the residency, for the exhibition The List, Campbeltown Arts Centre. Doing Time, 9:24min film, 2014. Exhibited: The List, Campbelltown Arts Centre, August 2014, shortlisted for The Blake Prize, UNSW Galleries, 2014, screened Antenna Documentary Film Festival, 2015. Collections: Campbelltown Arts Centre (one of an edition of 10). “A collaborative project between the artist and four teenage boys incarcerated in Reiby Juvenile Justice Centre situated near the banks of the Georges River in Airds, like Claymore one of the poorest and most disadvantaged suburbs in the region, Begg’s installation of photographs, drawings and a video work, Doing time, grew from the artist’s four-month residency that allowed her extraordinary access to the boys and demanded an equally extraordinary sense of responsibility in representing their experiences to an outside world. This meant that Begg was understandably careful not to reveal the names or faces of her subjects, which was at least in part overcome by an emphasis on capturing their voices in intimate confessionals, tempered by a troubling sense of the inevitability of their situation. To hear a teenager matter-of-factly declare, “I’m doing my debt to society” in a tone that evacuated any notion of self-pity was at once admirable and dispiriting, the latter sentiment bolstered by one’s own lament for the manifest inequities and failures of society to steward our young people far from a place such as Reiby. Invited to design their own hats, jackets and hoodies under the artist’s steam, the boys devised an assortment of warrior shields that appropriated brand logos such as Adidas, Nike, Versace and Ralph Lauren Polo in individualised coats of arms that signalled pride in their cultural heritage, such as a blazing ‘Koori Brothers 2014’ stretched across the back of a boy pacing the barbed wire perimeter of Reiby’s yard. What this artistic exercise might have meant to these boys is hard to decipher from the removed vantage point of the gallery goer, but we might surmise that it would be a trifling gesture on our part to underestimate the deeper reverberations of its collaborative heart” – “Inventory management: the list”, by Pedro de Almeida, Broadsheet,43.4, 2014.